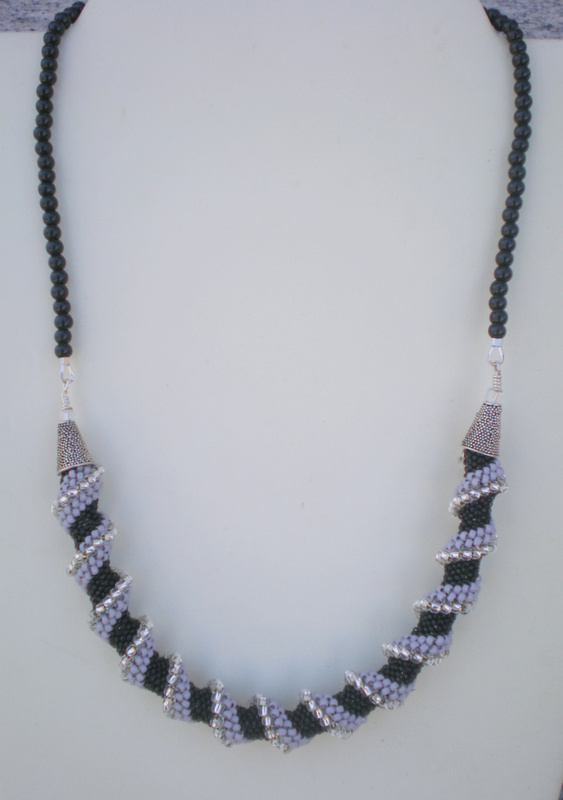 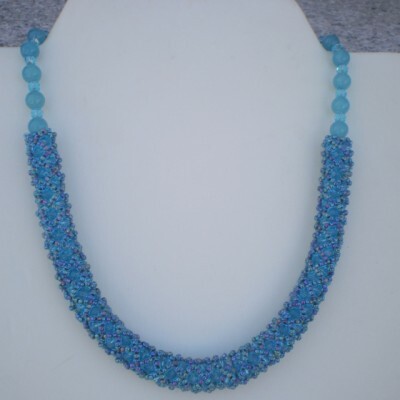 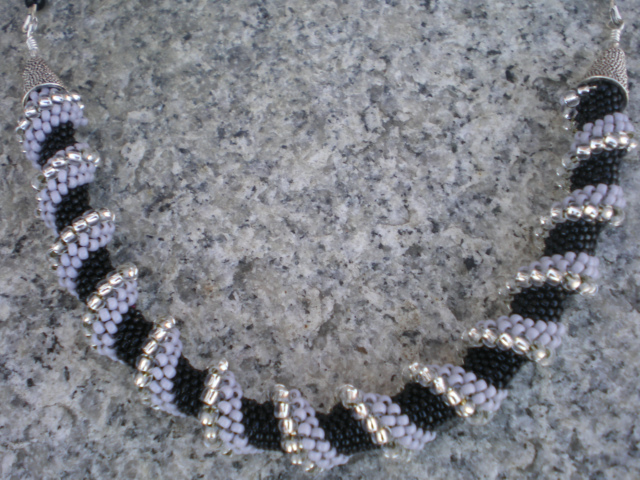 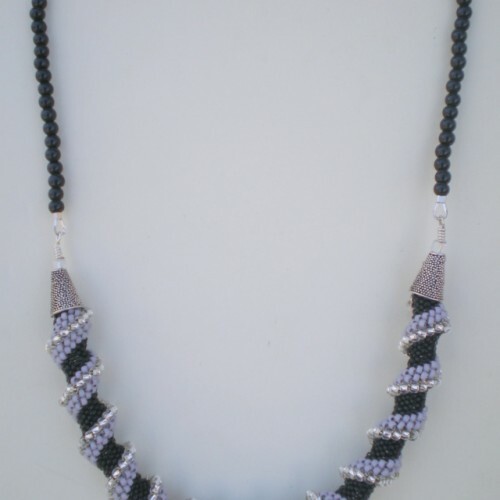 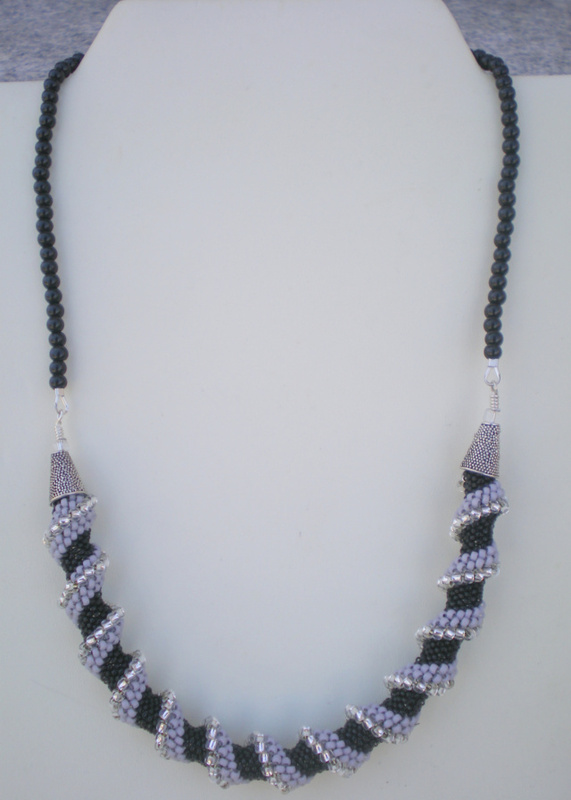 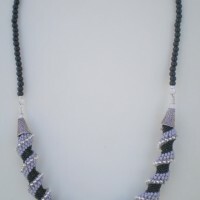 20 1/4″ Long handmade beaded necklace, Cellini spiral focal point made with black, gray, and clear seed beads, with sterling silver cones. 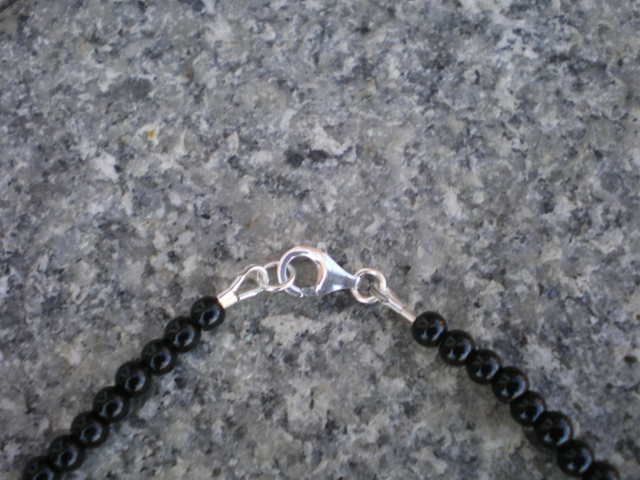 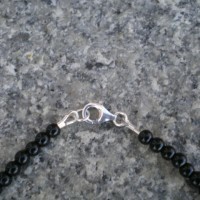 Followed by black glass pearls and sterling silver lobster claw clasp. 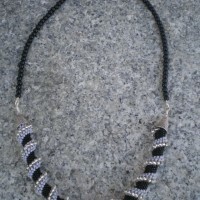 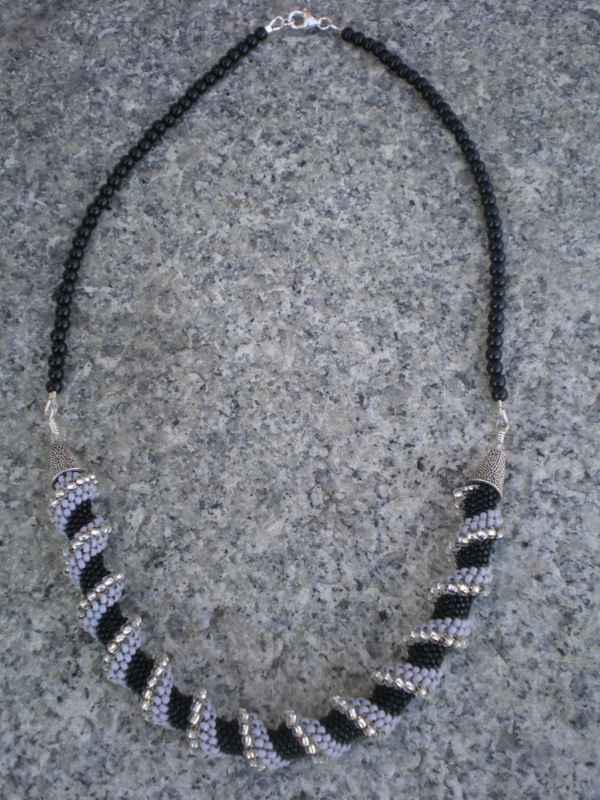 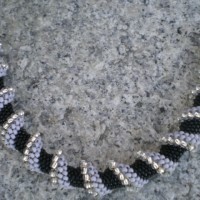 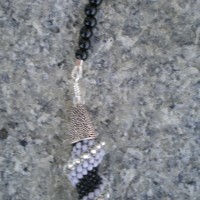 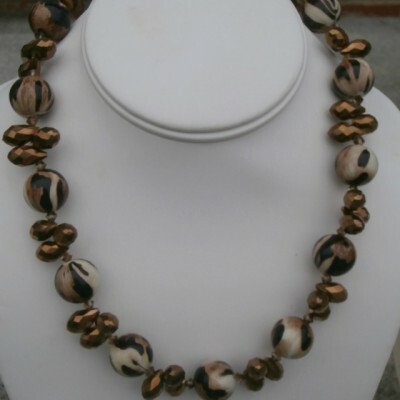 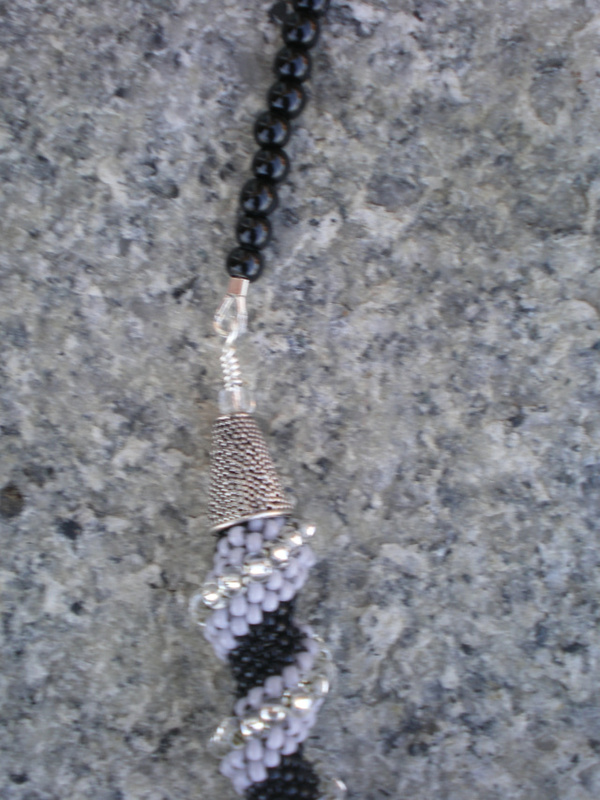 Be the first to review “Black and Gray Spiral Necklace” Click here to cancel reply.